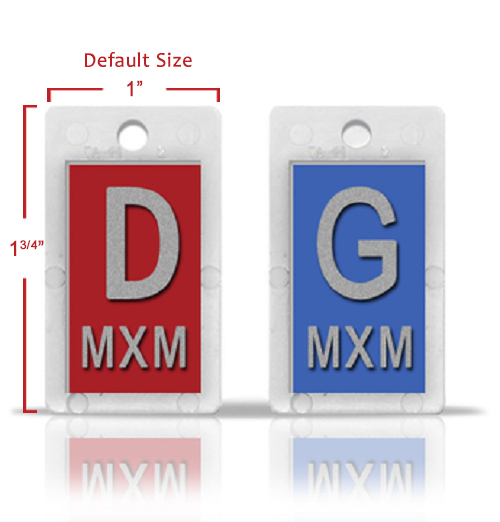 Basic Non-Adhesive Plastic X-ray Markers. 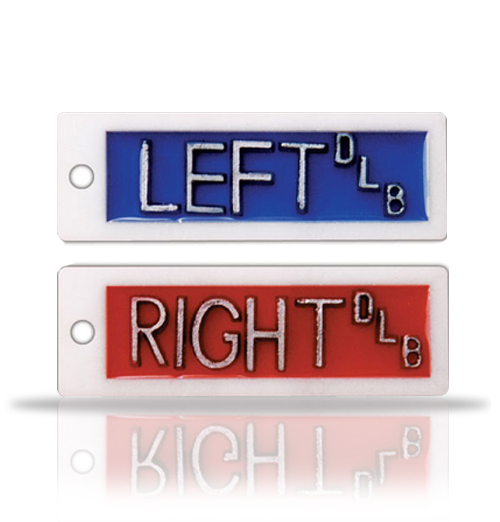 The lead letters in the Embedded Marker are totally encased in a crystal clear embedment plastic. 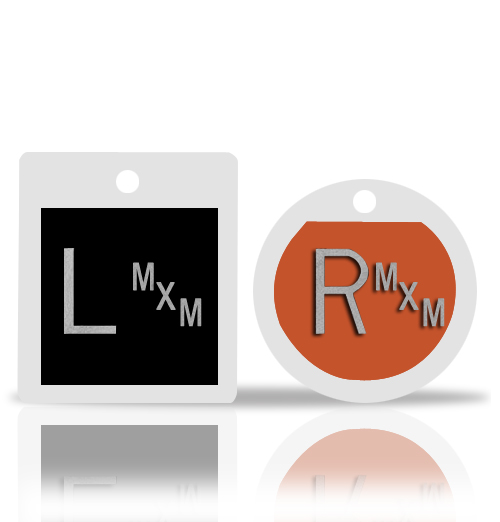 Basic Non-Adhesive X-ray Markers. The lead letters in the Embedded Marker are totally encased i..
NEW Identifier style marker that allows two lines of identification. 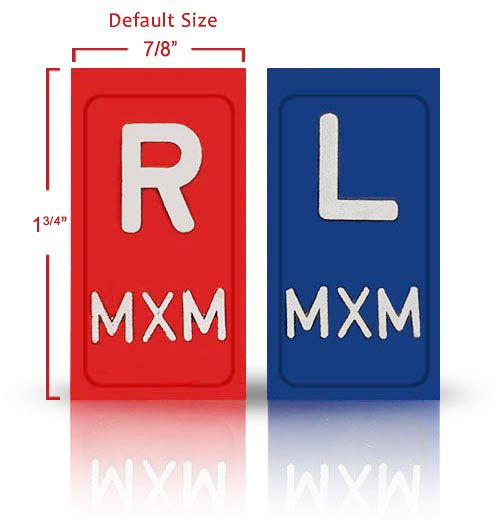 One line for your initials and ..
Molded plastic markers are an economical choice Marker sets are color-coded: R-Red and L-Blue ..
Black Custom X Ray Markers,Vertical. 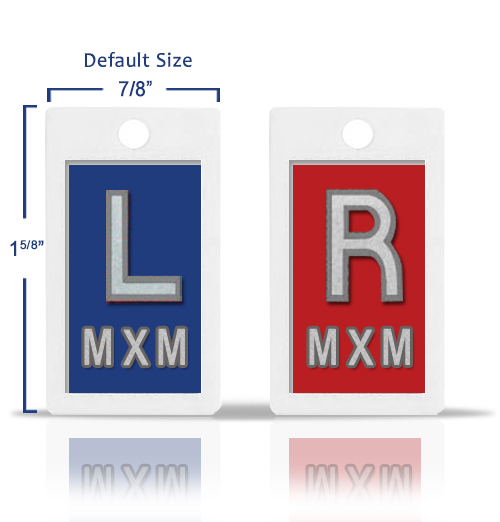 The L & R in each marker is 1/2" in height. These..
CHERRY RED Glitter Lead X-Ray Markers. The L & R in each marker is 1/2" in ..
Yellow Lead X-Ray Markers. 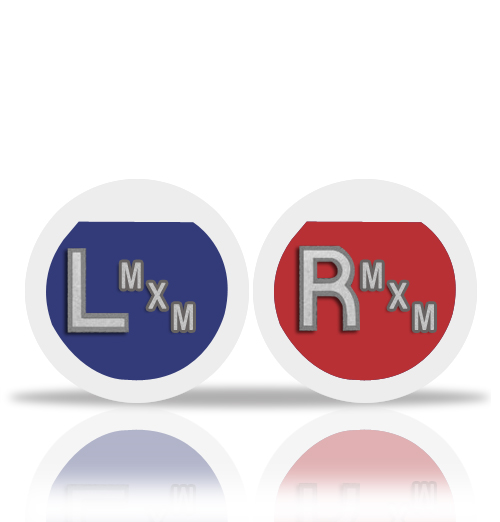 The L & R in each marker is 1/2" in height. 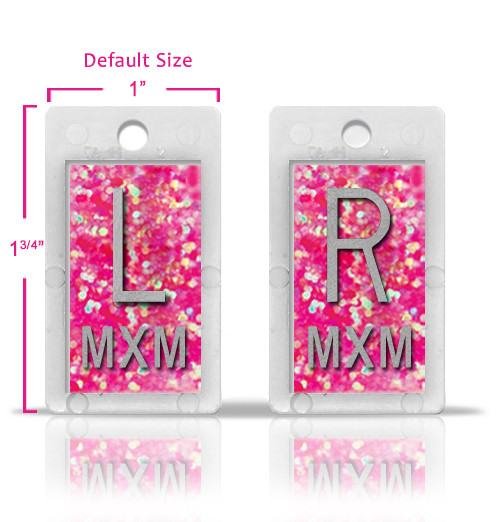 These mar..
Soft Pink Plastic X Ray Marker. The L & R in each marker is 1/2" in he..
Soft Pink Custom X Ray Markers. Emerald Green Glitter X-Ray Lead Markers. 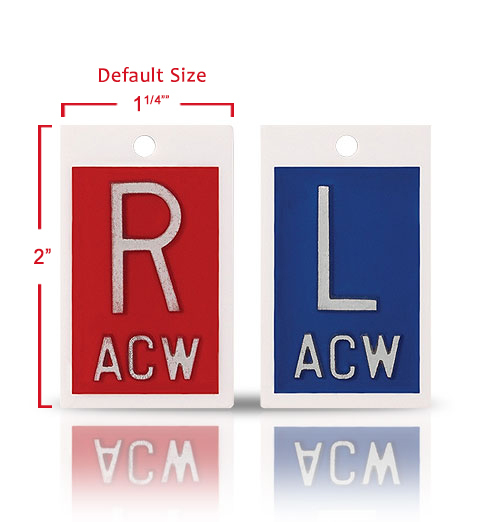 The L & R in each marker is 1/2" in height. These..
Grape Sequins Glitter X-Ray Lead Markers. The L & R in each marker is 1/2" in height. ..
Grape Sequins Glitter X Ray Markers. 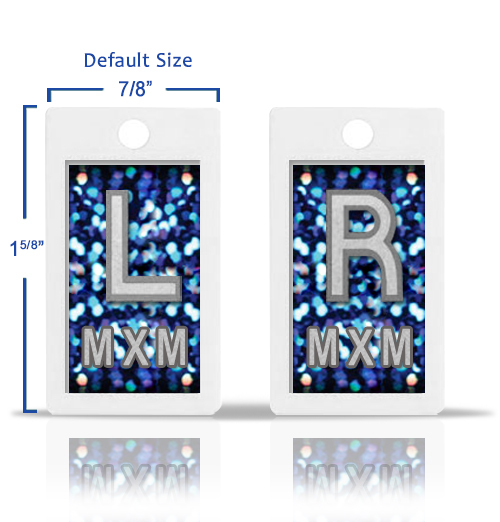 Dark Blue X-Ray Lead Markers. 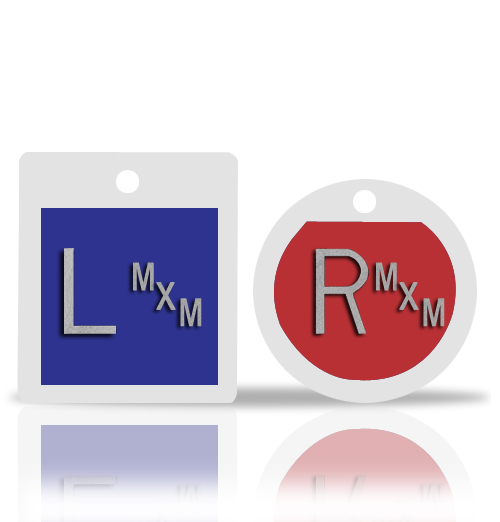 The L & R in each marker is 1/2" in height. 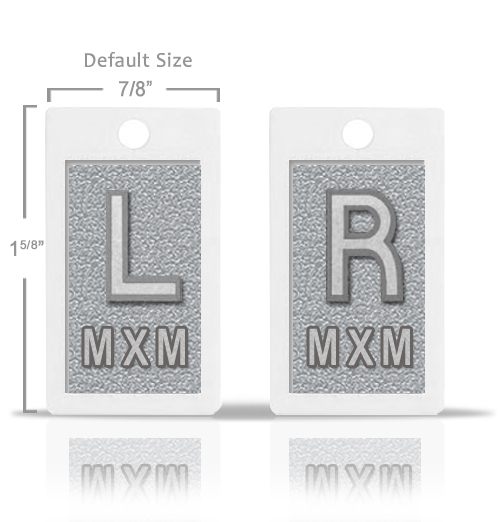 These marker..
Silver Gray Metallic X-Ray Markers. 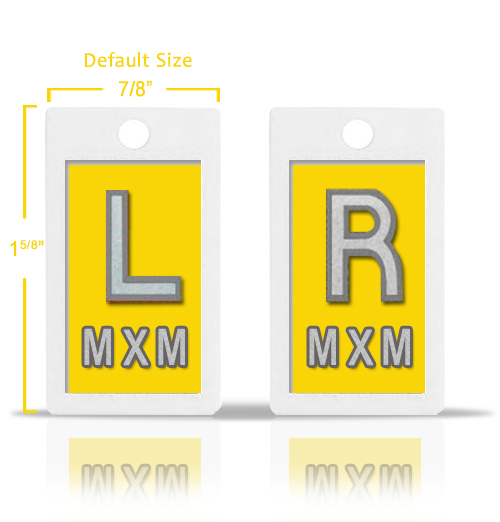 The L & R in each marker is 1/2" in height. 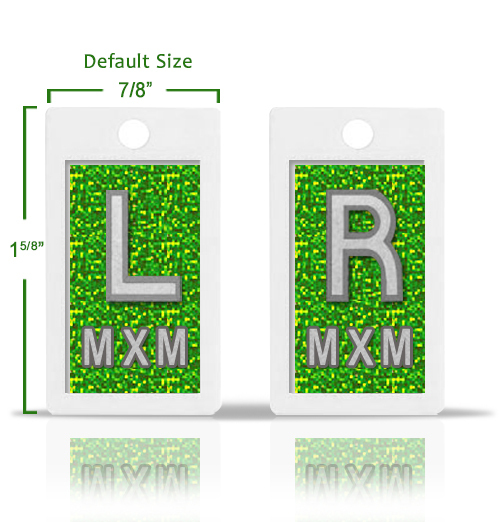 These ..
Emerald Green X-Ray Lead Markers. 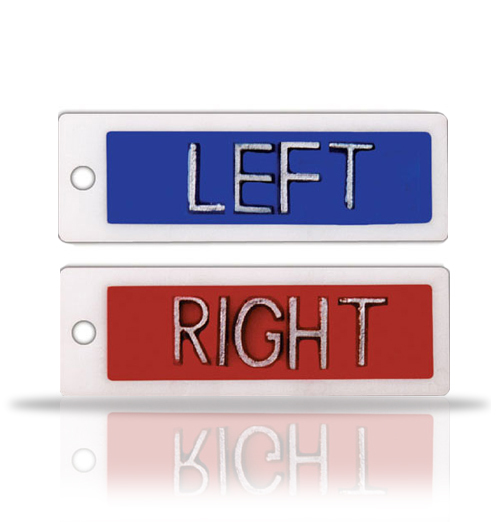 The L & R in each marker is 1/2" in height. These&n..
Emerald Green X Ray Markers. Light Violet Custom Radiographic X Ray Markers. The L & R in each marker is ..
Who said work had to be boring? 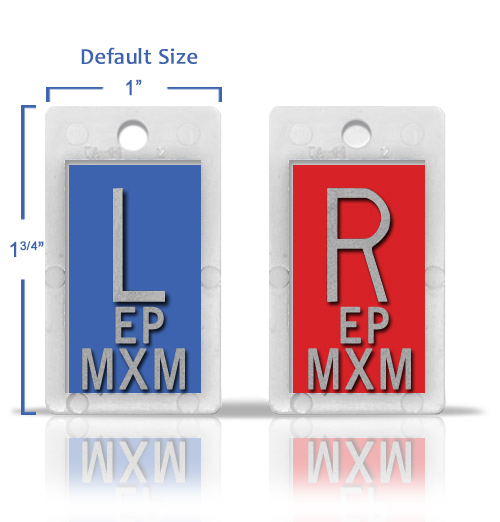 Identifier style radiology markers have high impact p..